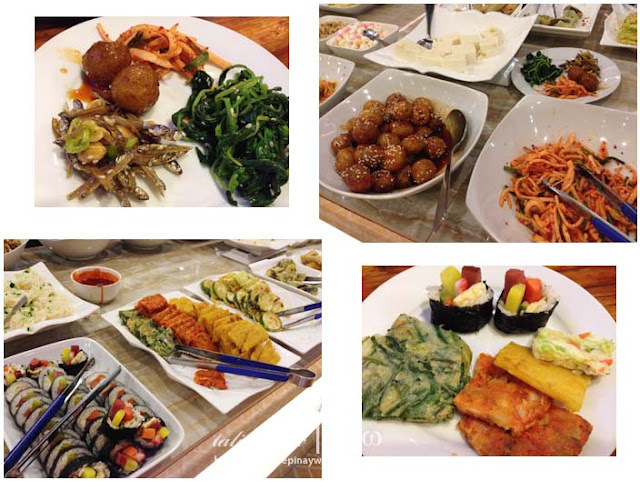 Don Day appetizers: kimbap, kimchi, potato balls, veggie fritters, etc. 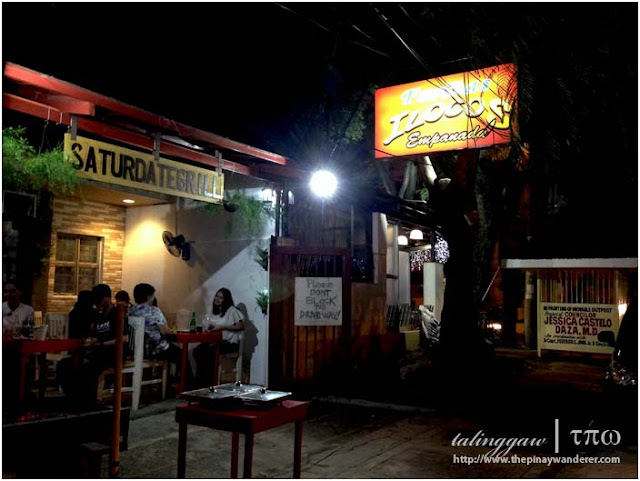 A few months ago, I posted here our previous Maginhawa Eat Street experiences, some of which a 'hit', some others a 'miss'. 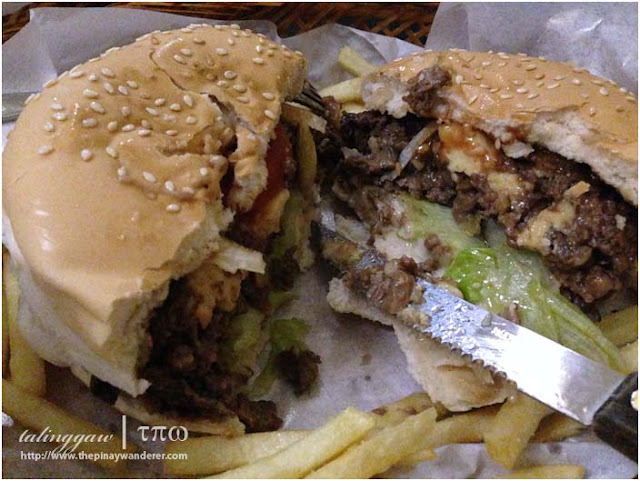 Here's another round of our 'hit' and 'miss' food trips in this famous food trippers' haven in Quezon City. 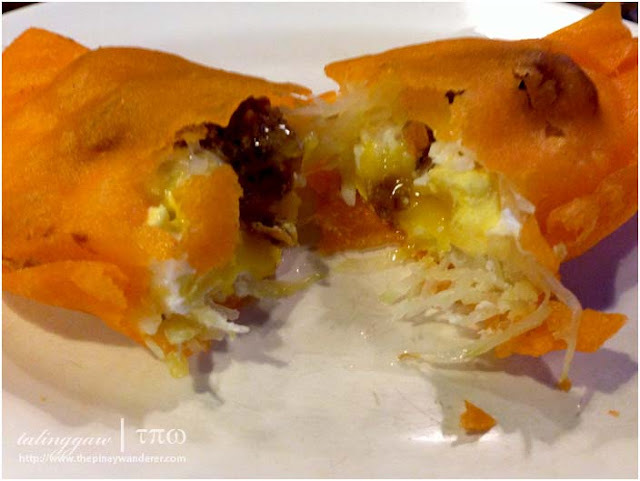 In this post, I'll cover four other restaurants all from or near Maginhawa Street in Teacher's Village that me and my friend have tried in the past two months. 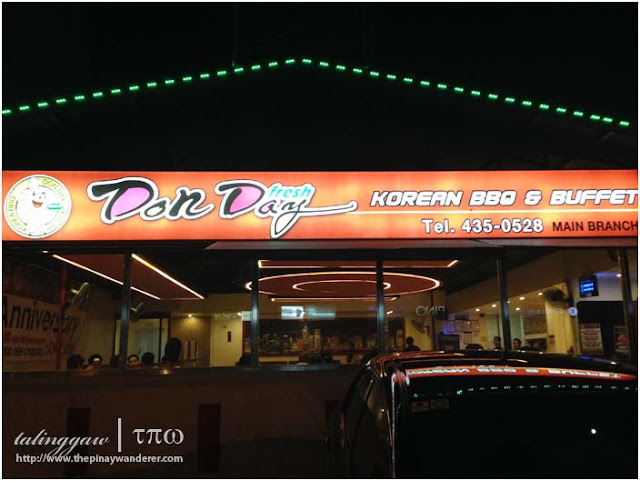 First on this list is Don Day, a Korean buffet restaurant located in Malingap, also in Teacher's Village. We've been to Don Day several times for the past 2 months. 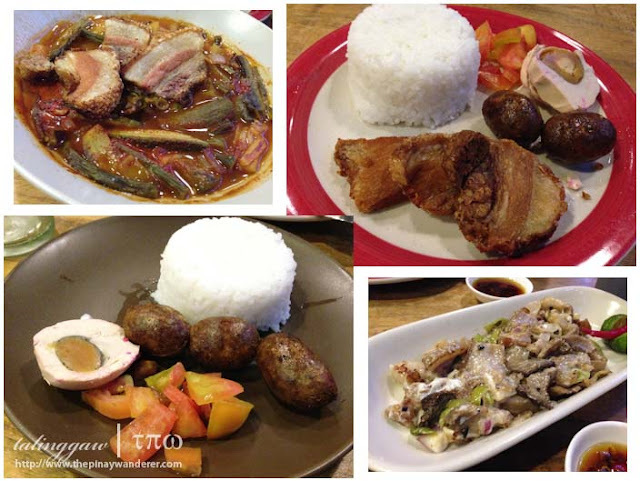 It is our go-to restaurant whenever we feel like pigging out. 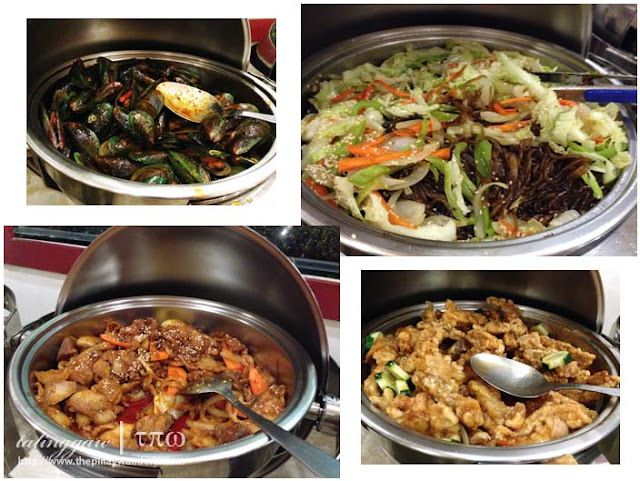 Don Day offers Korean dishes - buffet style, with several options to choose from. They offer two types of buffet, one with pork samgyupsal and the other with beef. For pork samgyupsal, it's 299 Php per person, 399 Php for beef. On weekend dinners however, diners don't have the option to choose; all are required to avail of the 399 Php buffet, drinks not included. 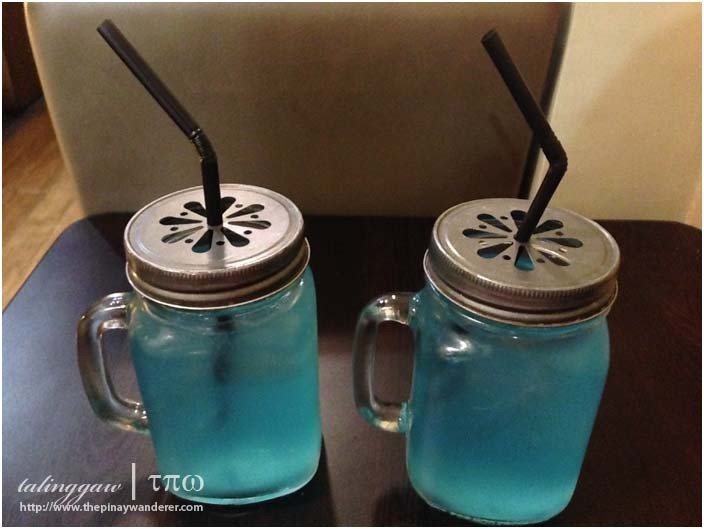 A 50 Php will be added to your bill if you opt to have bottomless drinks. 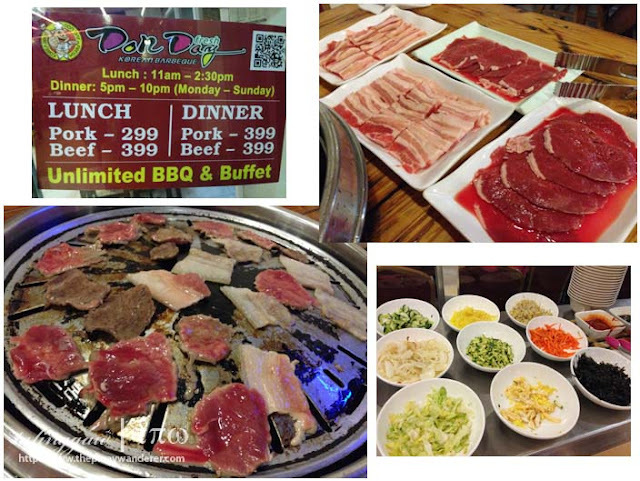 During weekends, pork and beef samgyupsal are automatically included in the dinner buffet for 399 Php. Two plates each of pork and beef meats are automatically served when you avail of the buffet but of course, you can order for additional pork/beef servings anytime. Of the readily available dishes, the spicy Korean pork dish and fish fillet (not in photo) are my favorites. I don't know how the pork dish is called but I love its flavorful and spicy taste, I always have it first whenever we dine in at Don Day. Don Day's desserts are not that special, though; not even native of Korea, I guess. 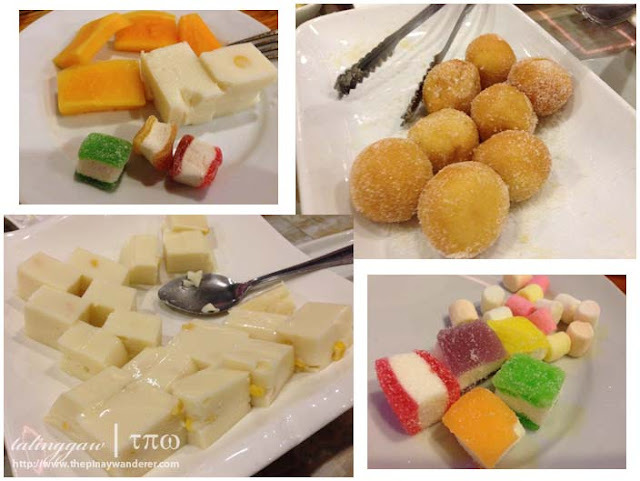 Candies and mallows are always present, buchi and maja blanca I only saw in one of our visits so I guess they're their "best sellers". However, if you want to have a taste of Korea's ice cream, they have several varieties; but for additional charge, of course. I eat burgers but I am no burger fan. My friend, on the other hand, is a meat lover so anything with meat, he loves; burgers included. He'd been to Stuff Over once or twice so one time, he asked me to try it too. 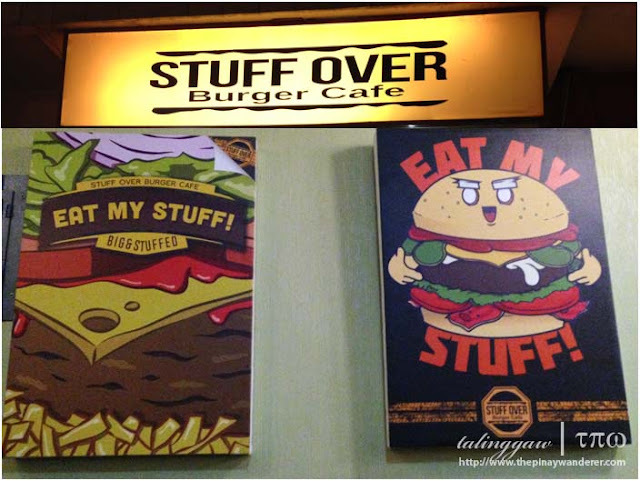 Stuff Over is located in Magiting Street, very near corner Maginhawa it can't be missed. Unlike the regular burger where you can see the cheese and mushroom or bacon add-ons, here at Stuff Over, these ingredients are mixed-in/included in the patty itself. My friend and I can't tell which is mushy suzie and which is hungry daisy so we sliced them in half and try both. My friend was satisfied with his shares, he ate them all with gusto (he always eat with gusto, by the way). Me? I find them just like the usual burgers, nothing extraordinary that would make me crave for more. My friend may like their burgers but with the price offering, we still find our experience at Stuff Over not quite remarkable. 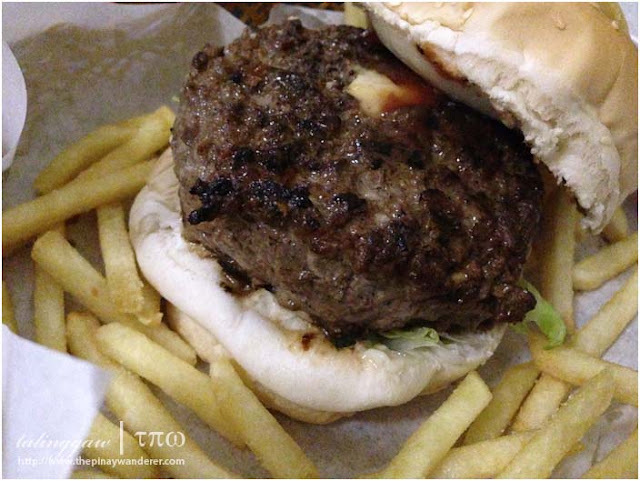 220 Php for a burger is somehow pricey for us, even with the fries and drink (instant lemonade) included. Another thing that we found off at this burger joint is the place itself. It's so small it only has around 5 serving tables, a table so small it isn't even good enough for 2 persons. We haven't been back there ever since so yeah, I would say it's really a miss for us. 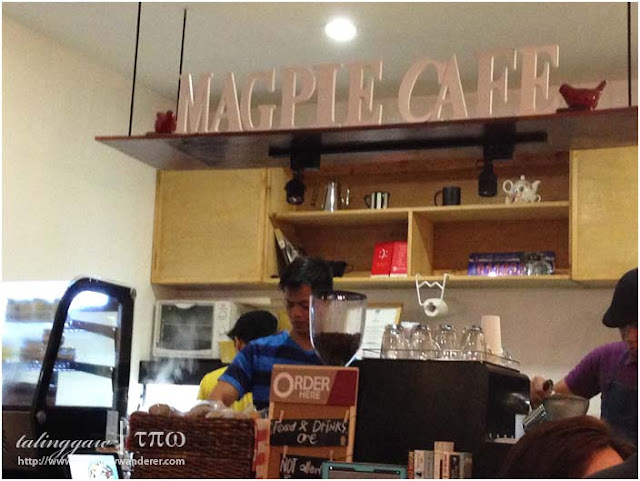 Magpie Cafe is located at the famous StrEAT Food Park in Maginhawa, a food hub that offers a smorgasbord of food choices, al fresco style. Magpie though, is different in this aspect as it is glass-enclosed and fully air-conditioned. It offers coffee, pastries and desserts, Korean-style. 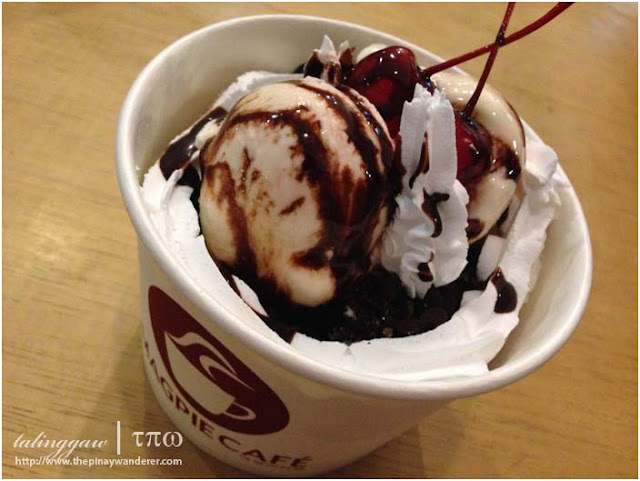 Bingsoo or bingsu - Korean dessert composed of ice shavings with chocolate syrup, ice cream and cherries on top. This is much like our local halo-halo but I would say, ours is better and more flavorful than this one. Except for the ice cream which somehow gives bingsoo some flavor, this Korean dessert is bland and not creamy at all. And the banana waffle below? 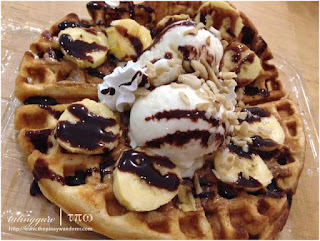 Well, nothing out of the ordinary; just a waffle with few slices of banana and a scoop of ice cream drizzled with chocolate syrup. For 150 Php each, I'd rather have halo-halo from Chowking and waffle from Belgian waffle. Pricey and not our kind of desserts so yeah, this food adventure is another miss.